Thought I post one of my oil pantings here since on other sites people liked it. It's painted on Canvis board. 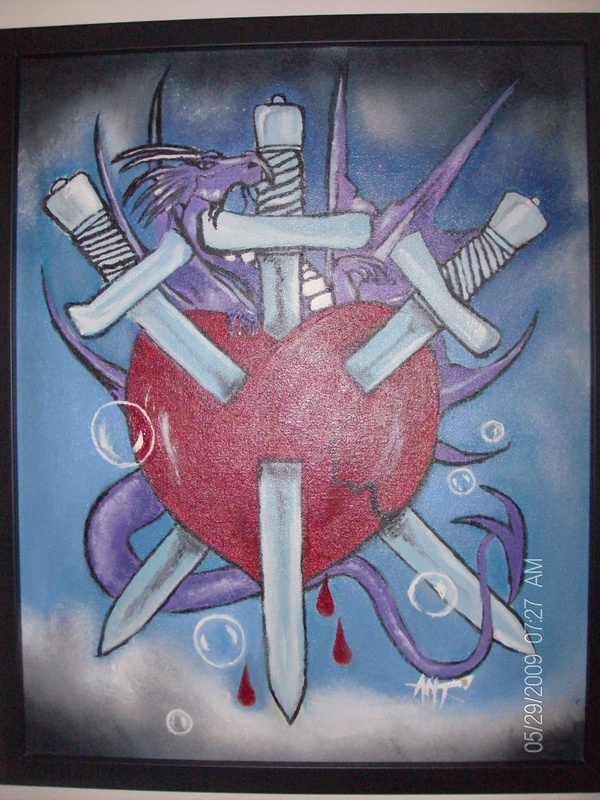 Its the three of swords card from my dragon tarot deck this only took me two weeks to make and I did sign my name with a small amethyst heart in it but its hard to tell.